Since the Medieval and Renaissance Periods, lavishly illuminated biblical manuscripts - also known as treasure books - and secular texts were made for or collected by the world's most powerful men and women who possessed expensive and refined taste. Inspired by the Gilded Age and paying homage to the art of illumination, Gilded Age Greetings offers an exquisite collection of one-of-a-kind hand-crafted illuminated keepsake cards. Founded by Melissa Schechter and Master Penmen and Illuminator Rosemary Buczek, the company offers one-of-a-kind greeting cards beautifully hand-crafted and embellished with 23K gold and precious stones to celebrate birthdays, holidays and anniversaries, and to say "thank you." The company also offers an exclusive Greeting Concierge Service which arranges greeting card gifting to meet its clients' personal needs and requirements. All aspects of this service are handled with precision, privacy and exceptional quality. Gilded Age Greetings also takes limited commission work for invitations, documents, awards and certificates. The very first original illuminated manuscript Master Penmen and Illuminator Rosemary Buczek ever saw was created by the chairman of Caldwell College in New Jersey. The leather-strapped manuscript's delicate translucent vellum paper revealed a story beautifully written in pen and ink and decorated in gold. It was then that her heart was captured. Often described as one of the finest modern-day practitioners of the art of engrossing, Buczek combines her calligraphic skills with illumination and gilding techniques to create beautiful one-of-a-kind cards and manuscripts. Her work is held in private collections worldwide. With a Bachelor of Fine Art degree from Caldwell College, Buczek opened her studio, The Gilded Quill, in 1987. 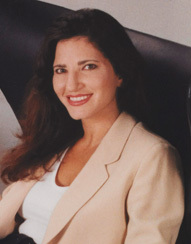 Her clients have included the New Jersey Symphony Orchestra, The Association of the United States Army, Prudential Financial, AT&T, Sony, Exxon, The American Petroleum Institute, the United States Golf Association, Rutgers University and many more. Most recently, Buczek was commissioned to create the Gettysburg Address, which was presented to President and Mrs. Obama on Feb. 11, 2009, at the gala celebration of the re-dedication of Ford's Theatre in honor of the 200th anniversary of the birth of President Abraham Lincoln. In 2008, she was commissioned by St. Joseph's Seminary in Yonkers, NY, to create O Glorious St. Joseph Prayer, which was presented to Pope Benedict on his papal visit. Buczek wrote the forward for The Bible of Illuminated Letters by Margaret Morgan and illustrated the chapter headers of the book, Legacy, by Cayla Kluver. Her work has been recognized in 100 New York Calligraphers by Cynthia M. Dantzic. Buczek is a member of the International Association of Master Penmen, Engrossers and Teachers of Handwriting (IAMPETH) , served two terms as president as is co-founder of Gilded Age Greetings. Entrepreneur and Gilded Age Greetings co-founder Melissa Schechter was in search of an elegant, one-of-a-kind card to give to her parents in honor of their 50th wedding anniversary. With no luck in finding what she wanted, she commissioned Master Penmen and Illuminator Rosemary Buczek to create it. Creating the card was a true labor of love for Schechter, who appreciates the striking beauty of an illuminated card and recognizes the skill of the artist who produces it. 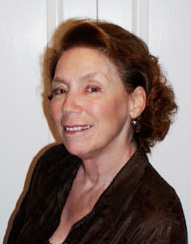 Prior to launching Gilded Age Greetings, Schechter founded RMS Medical Supply Co., which she sold to Cintas Corp. A graduate of FIU's hospitality management program, she serves on the Florida Historic Commission, has served as a board member and steering committee member and chairman for The Vizcayans (Vizcaya Museum and Gardens) since 1994. With Gilded Age Greetings Schechter combines her passion for business with her love for history, craftsmanship and grandeur. Dan Mooney resides in Quincy, Massachusetts with a studio located in Hanover, Massachusetts which concentrates on fine calligraphy, cartography and artistic lettering. "My passion for letter forms began over 40 years ago in High School art class when I picked up my first calligraphy pen, dipped it into a bottle of ink and copied "The Boston Globe" logo in Old English". Dan’s inspiration comes from old maps, illuminated manuscripts, masters of old and the challenge of striving for perfection. His art includes gold leaf, water colors, gouaches and various forms of pigments on natural velum, as well as all kinds of hand made and archival papers..
Dan Mooney is President of Masscribes, Inc. (New England Calligrapher's Guild), past President of Colonial Calli-Graphics, L.L.C. 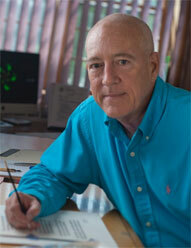 He has been published in Letter Arts Review, Bound and Lettered and enjoys giving workshops and private lessons. A recent published work entitled "YOUR GOD" has been included in a beautiful coffee table book entitled “ Nice Rendition” Cheryl Wheeler’s Lyrics in Calligraphy”. He was recently commissioned to create a fully gilded custom 1773 map for the New Boston Tea Party Museum in Boston, Massachusetts. I am honored to bring my passion for letter arts, gilding experience and creative energy to Gilded Age Greetings. 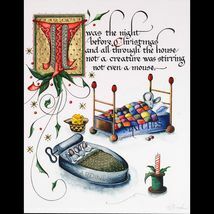 Kathleen Rollick discovered Rosemary Buczek's Illuminated Letter workshop in 2011, while researching potential weekend classes for the Calligraphy Guild of Indiana. She was immediately captivated by the brilliant colors and regal appearance of Rosemary's work and longed to learn the art of illumination herself. 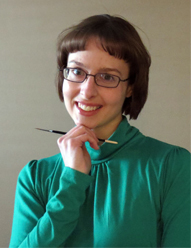 Kathleen is an engineer by profession and an artist by passion. She considers her purpose in life to be making people feel special and hopes her art accomplishes this aim.